Ellen Maddrey Davis, 93, died on Wednesday, September 27, 2017 following a period of declining health. 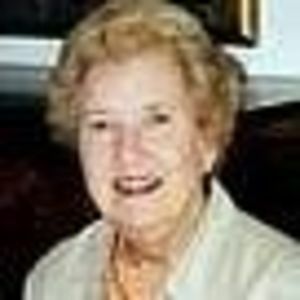 She was born on October 13, 1923 in Seaboard, N.C., the daughter of the late H.C. Maddrey and Martha B. Maddrey. She was a graduate of East Carolina University and a member of Edenton Street United Methodist Church, where she was a circle member, taught Sunday School and was a member of the choir. Always active and frequently President of the P.T.A. 's of her daughters' schools, Ellen was also a member of the Thorn and Thistle Garden Club and the Home Economics in Homemaking Club. She was the widow of Raleigh architect, Charles W. Davis, Jr., to whom she was married for 61 years, and is survived by five daughters: Martha Moore, (Jody) of Raleigh; Jane Ray, (Tom) of Mt. Pleasant, S.C.; Anne Davis of Denver, Colo.; Carolyn Anderson, (Andy) of Mt. Pleasant, S.C. and Rebecca Hayes, (Carl) of Raleigh; eleven grandchildren and ten great-grandchildren, each of whom she assured she loved "a bushel and a peck." She was predeceased by her sisters, Dorothy M. Norton, Virginia M. Brooks and Jean M. Wilson. The funeral service will be held at 2:30 p.m. on Sunday, October 1, 2017 at Edenton Street United Methodist Church. The family will receive friends in the Garden Gallery of the church following the service. A private burial at Oakwood Cemetery will follow on Monday. In lieu of flowers, donations may be made to the church for its children's ministry. The family wishes to acknowledge the outstanding care and compassion of the staffs of Morningside Assisted Living and Visiting Angels, and special friend Diane. Arrangements by Brown-Wynne Funeral Home, Saint Mary's Street, Raleigh, NC. ?